It is hard to lose your best friend human or canine. My dream since my mother died in 2005 is to retrace John Steinbeck’s 1960 trek across the US in, “Travels With Charlie.” If you have not read it, it is the chronicle of writer John Steinbeck driving from Long Island to Maine, to Isle Royal in Michigan, through Montana to the West Cost, South through his home town of Salines, CA, and back to Long Island via the Southern route in the days after Johnson signed the Civil Rights Act. 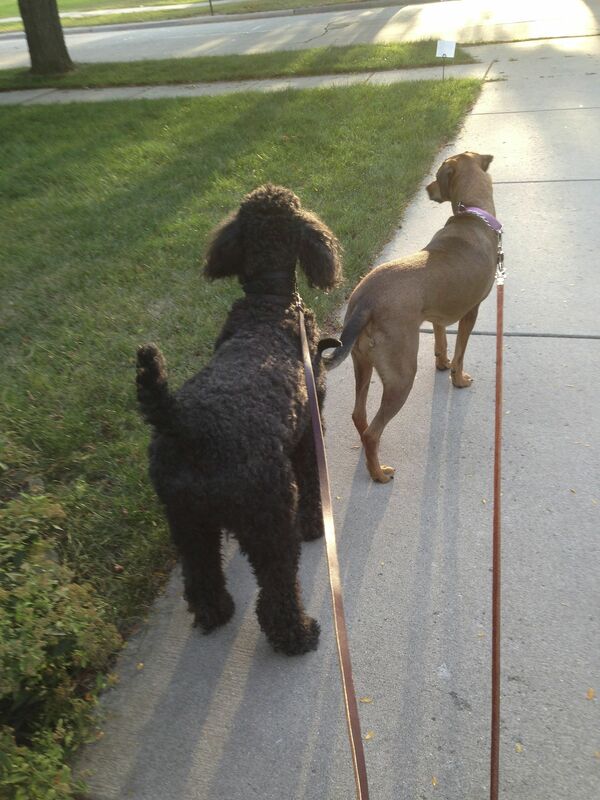 His partner, and goodwill ambassador, was a black standard poodle named Charlie. 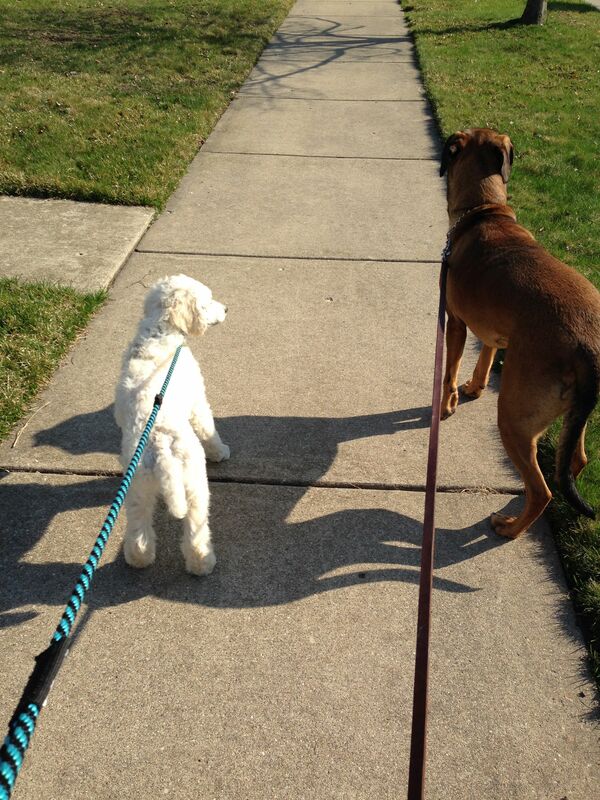 My idea was to make this same journey with a black standard poodle, Merlin, and my father. I would stop at the same places as Steinbeck and chronicle how the country has changed. My Dad would add absurdity to the trip; he is the most negative person on the planet. Putting the funds together for a trip like this is a feat I have not yet accomplished, but a person can dream. About a year before my mother died, my father bought her a black standard poodle for her birthday. My dad liked to save change and he had several high-boys full of silver change and one of just pennies. He rolled it up over a number of weeks and it amounted to a thousand dollars. I am not kidding. So he got the idea to buy my mother a standard poodle because she talked a lot about standard poodles after seeing so many of them when visiting me in New York City. 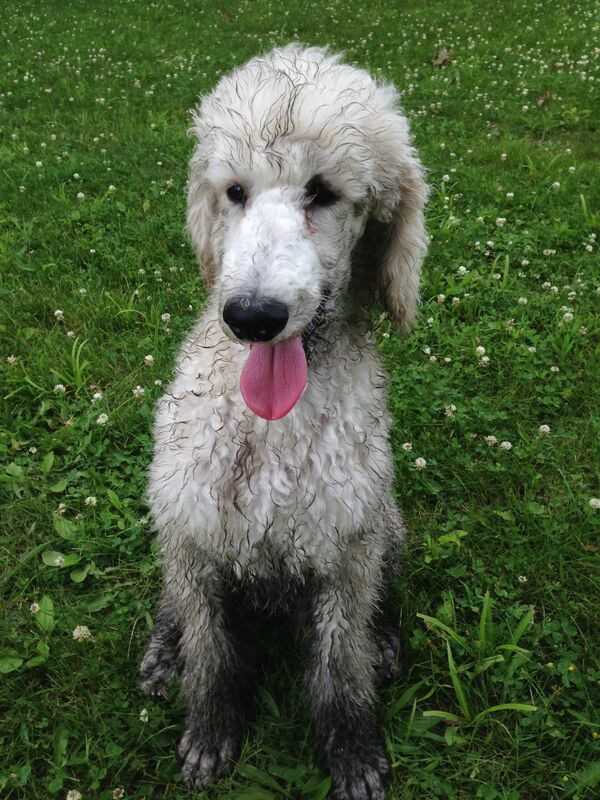 My sister found a reputable poodle breeder not far from her house and took him out there to see them. He placed a deposit and told them he wanted a large, black male with nice hair. It took almost nine months, but in November of 2003 they brought home a black, curly fuzz ball. My mother named him Merlin. I first met Merlin at Christmas time in 2003 when he was 4 months old. I was impressed by how he walked on a leash at that age and how interested he was when he saw people. Standard poodle puppies look and act like the full-grown versions of their smaller cousins. Very few people realized they are puppies. I saw Merlin a few times when I came home for visits in the summer and at Christmas the following year. My mother died suddenly March 28, 2005, and I spent two months with Merlin and my father in Michigan. Merlin was good for my dad after my mother died. He walked that dog all over the city. He had never lived alone before and with Merlin there, he was not alone. He became known as the poodle guy. For six years Merlin was his buddy. In 2011, my Dad had to have his leg removed at the middle thigh due to complication of diabetes. Feeling sorry from my Dad not only adjusting to life with one leg, but giving up his house and his dogs including his best buddy Merlin. I decided to move to back to Michigan so my father could stay in his house and keep his dogs. The transition was harder than I ever thought it would be. Merlin was the only bright spot. It was not long before he was my dog. I love all dogs, but for me poodles are special. They seem to understand every word you say and they do the goofiest stuff. Take a look at this video I made of Merlin and his favorite sewer. For some reason he was obsessed with this sewer behind the school that is across the street from my house. Some days I had to put his leash on and drag him away from it. I learned to groom Merlin myself. Unfortunately, being a black poodle, it is hard to see details in photographs. Below is a photo of the first time I trimmed him in a cut called a Desi which is a pet version of the famous poodle “lion” show cut. The idea of the Desi is the poodle appears to be wearing pants and a jacket. I wanted to try a show cut, but it is a lot of work and not the best choice for a poodle who likes nothing more than trudging through the marsh and collecting burrs. My Dad can be very difficult. He does not think the glass is half-full or half-empty, he thinks it is always shattered. That level of negativity coming at you every day is wearing. How did my Mother do it? Merlin was the bright spot in my day. He was always happy to see me and always ready to go do fun stuff. On March 5, 2015, in the middle of his 11th year of life, Merlin died. I will not go into the details of his death only to say that it was due to complications from surgery and I was with him when he died. I was devastated. The thought of coming home everyday and not seeing my Merlin was unbearable. 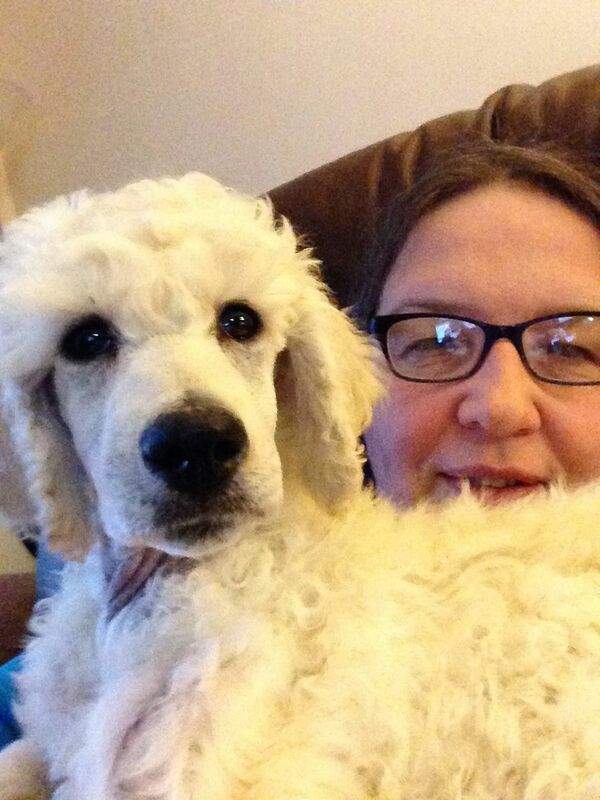 To deal with this huge whole in my life, I started a search for a new poodle. Merlin’s breeder died in 2006. I am a poodle girl and I cannot be without a poodle. It can take a while to find a standard poodle because you want to get one from a AKC preferred breeder and not one that breeds “doodles” of any kind. I got lucky and found a great dog in about three weeks. 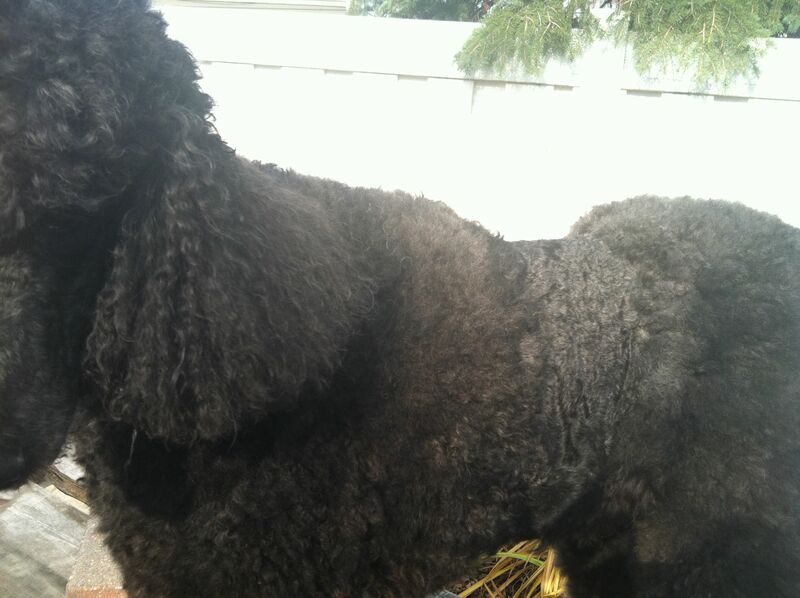 I wanted another black poodle, but this guy from Targa Poodles in Saline, MI, charmed me with his temperament. Here he is the day I brought him home at ten weeks old. I named him Charming. He is like Merlin in that he is a poodle. Charming’s first walk with GG. That is where the similarities end. When I first brought him home I kept thinking Merlin would like him. I still miss my Merlin. Charming makes me laugh and he keeps me busy. Not only do I have to teach him the regular dog stuff like walking on a leash, sit, stay, recall do not potty in the house; but I have teach him to like baths and be groomed. We are learning together. I have never raised a puppy myself. I always adopted older dogs. This is a lot of fun. See what I mean? Yes, that is marsh mud. This type of getting dirty takes a special talent. Merlin taught GG about the marsh, and GG taught Charming. Here is a video I made staring Merlin not long after returning to Michigan. In memory of my friend Merlin. Posing with his Desi doo. I got better at grooming. Merlin sleeping on his bed. Fuzzy faced Merlin in his favorite place to walk, The School. 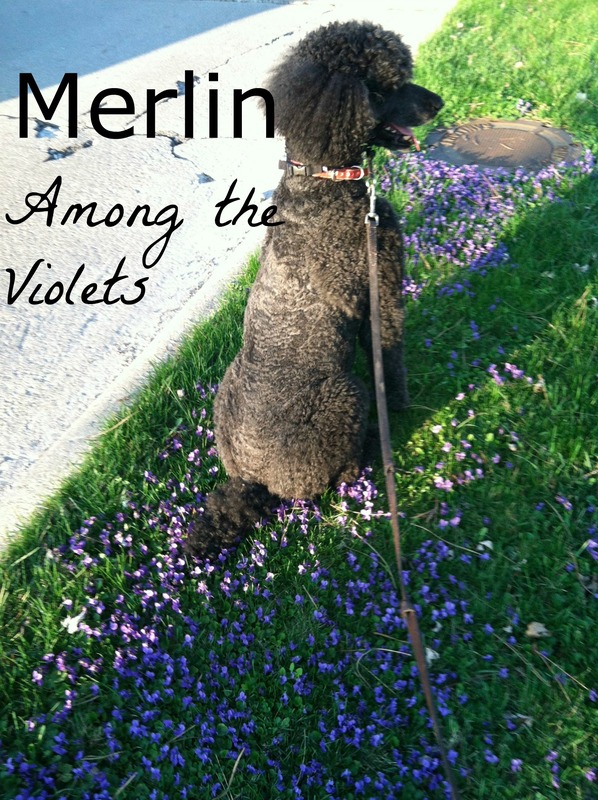 Merlin and the Pups cover. Sleeping with his favorite toy, The Chicken. Merlin in the driver’s seat. At Erie Metropark with Indy. Sleeping on his back with feet in the air; known as the dead cockroach to poodle people. Merlin’s last walk with GG.